Today begins two months of crazy business travel for me. As my friend pointed out, I’m going to be away more than I’m home. But, I’m not complaining. What I do worry about is eating well, and what I mean by well is healthy. Yes, there will be client dinners, cocktail hours and beer, so keeping that balances with my regular good eating habits is going to be critical especially since my schedule will be so hectic. Honestly, the thing I’m worried about the most is breakfast, which is why I was thrilled to find a Jamba Juice here in Newark Airport while I’m waiting for my flight to Las Vegas. Hello, all fruit smoothie! Just like I make at home. Last month when I was in Orlando on vacation I ate gluten-filled pancakes, pasta, eggs and cheese. That with the heat, I was feeling terrible by the end of the trip. I always pack some gluten-free energy bars, but this time because I know I feel better when I’m eating healthier and im going to be gone for so long, I brought a few more things with me that are easy to pack and serve a purpose. 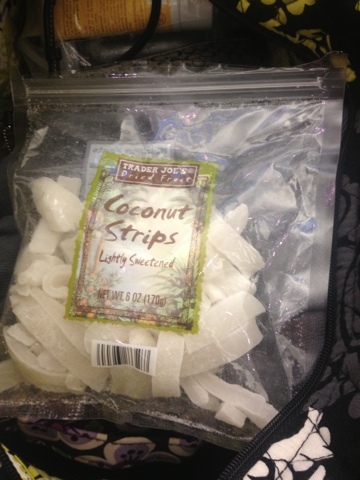 Coconut is always a good snack. Since I added it to my diet, I’ve felt a lot better. 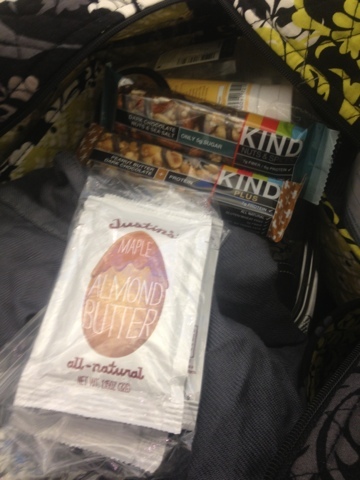 Kind bars and single serve packets of almond butter are both ways to make sure I’m getting enough protein. As are these these nuts that I was excited to find at Wegmans. 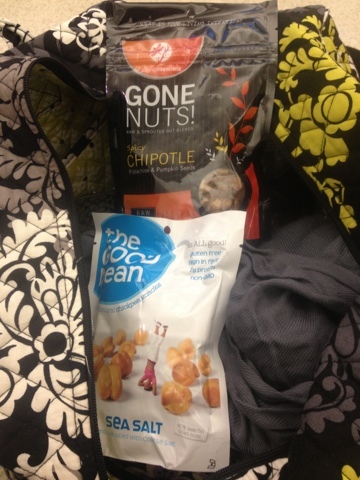 One package is raw and the other is chick peas which have become my go-to source for fiber and protein. 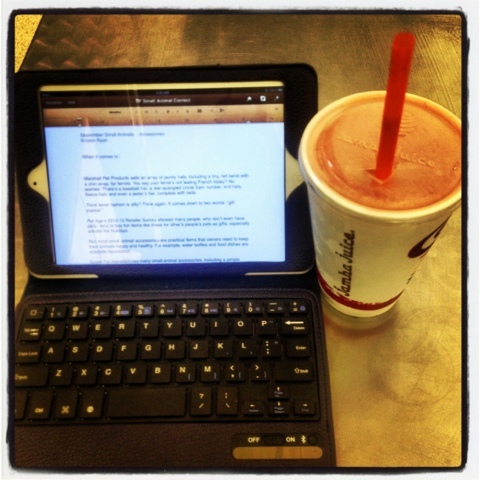 What are your secrets to eating healthy while you’re on the road? I'm with Jess on this – I tend to eat too much at once and I also love to visit the healthy store options when I travel. Always looking for new and exciting things to try, being the Flavor Craver that I am. Thanks for the great recipes as well! They're always so yummy!! !